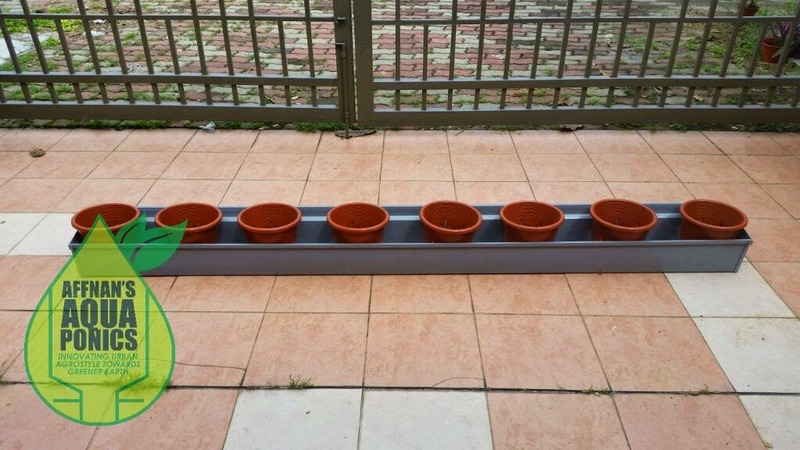 Did gutter growbed in March 2010, that time I was using loop siphon and it is difficult to get right. This time I'm doing it with Bell Siphon and for planting Strawberry plants. Main reason why I am trying this again is to reduce the amount of LECA needed since I'll use pot for the plants and it will be easier to do Strawberry in rows on a step. I need to make a shorter bell siphon since gutter is not that deep, water height the most would be three inches. Therefor the siphon will need to be cut and tailor made to three inch or less. I will try using 20 mm strainerbell siphon modified to suit. A 15 mm StrainerBell would be a good size but I had not tried this size for long.